Just bought this nice little bit of bling for the bike. 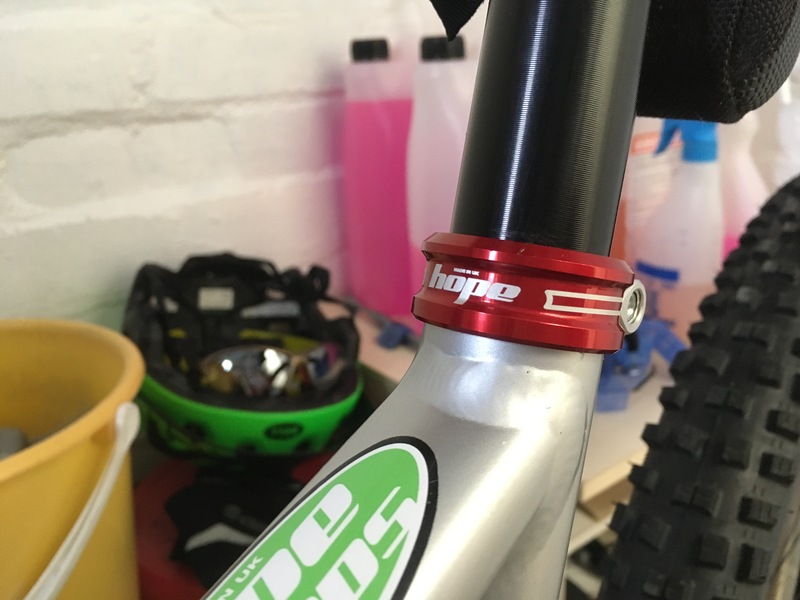 It matches my Hope hubs, and other red anodised bits too. Just bought my son a Felt to replace a very heavy and unreliable Mongoose. Excuse the pun but they are very different animals altogether,as the Felt is well built,better geo,better looking and way way lighter than the 'Goose. I shall now pat myself on the back and attempt to kiss my own a**e.